I'm new in this forum on behalf of Fielder's Choice Goods. We collect vintage baseball gloves and handcraft them into modern wallets. I am not here to sell you any wallets. 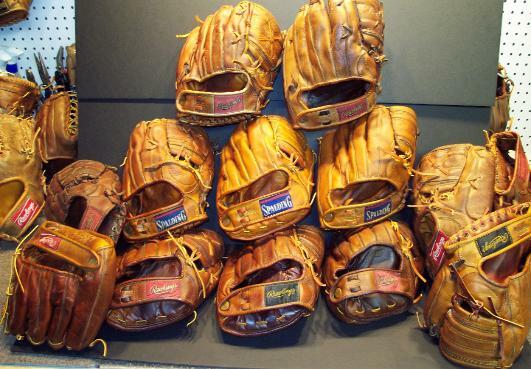 I am here interested in hearing some glove collector stories as well as purchasing some vintage gloves from some collectors. I would love to hear stories from anybody at luke@fcgoods.com if anybody would be willing to share theirs. Thank you!! Hey all...life long baseball player and fan. (Go Cubs!) I'm getting into relacing gloves and here I am.